The philosophy of a Green Workplace is a cornerstone of every modern company. But going green does not only mean committing to recycling. It also means changing business practices in such way to achieve some long-term environmental goals. This is why going green is not something that will happen in a day or in a year. Every day counts, though, which is why it is important to start right away and promote environmentally friendly practices at work whenever possible. The jury is still out on what the best environmental business practice is. However, there are some definitely useful steps which can be performed in order to better prepare for the more complex and demanding steps which are bound to come later. 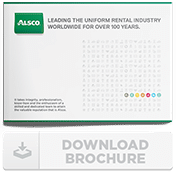 Alsco’s Greenroom is dedicated to offering relevant advice to business people looking to reduce their ecological footprint. This article will list six simple steps for your business to go green, which should help you get started and hopefully achieve your ecological goals. This year, Singapore’s public sector outlined plans to go green. Specifically, it aims to reduce consumption of electricity by 15% and water by 5% by 2020. From 2013 to 2015, the sector accounted for about 4 % of the country’s total electricity consumption and 3 % of total water consumption. The public sector consists of 16 institutions and 64 statutory boards, employing more than 145,000 workers and operating about 1,000 facilities across the island. If you question how much difference it makes for other businesses to Go Green, then it’s worth looking at the statistics. Research consistently shows that the public is interested in the environment and in countering climate change, and any business that promotes a greener working environment and eco-friendly work practices is more highly thought of. Most of the surveys conducted on this topic show that an overwhelming majority of people fall into the categories from “Extremely Concerned” to “Concerned” about climate change. People also tend to overwhelmingly ‘Agree’ that businesses should be more active in helping to make the change to a cleaner, smarter economy. Furthermore, a majority of those who were asked the question answered that it was unacceptable that some businesses focus too narrowly on profits while ignoring the risks of their pollution. More than a third of people strongly agreed that polluting businesses be made to take responsibility and be charged for their pollution. It’s tempting to think that small operations can hardly be expected to do very much. But for small and medium-sized businesses, ignoring the preferences of their customers is dicing with commercial disaster. And besides, because every little step helps, even small things by small businesses make definite contributions to any overall improvements. So, what can be done to Go Green at work? Does it mean introducing life-changing regulations? Does it mean imposing strict practices that make work more difficult? Not at all. The steps are easy, and while an effort is required, the results make the working environment better and the working experience more positive for the staff. Here are just 6 of them. It has been lobbied for long, and in many ways, this principle has been adopted. But switching to energy-saving appliances means more than simply switching your computer off at the end of the day, and using energy-efficient compact fluorescent light bulbs (although both definitely help). The actual appliances that you use in your workplace often consume more energy than they need to, making them extremely inefficient and a major contributor to the carbon footprint. The most efficient way to deal with this is to purchase new office equipment. Even though the initial investment may be big, the energy efficiency of newer models will more than pay out in the long run, with savings in energy ranging between fifty and ninety percent. Replacing old computers with new modern laptops will both make you much more environmentally friendly and make your workers happier. In washrooms, a good idea would be to replace automatic hand-dryers with more traditional solutions such as paper towels or cloth towels. And while you’re there, how efficiently is water consumed there too? Consider installing automatic-stopping taps to reduce water wastage, and look into the possibility of modern dual-flush toilet units which use about 25% of the water per flush the older single flush toilets do (12 litres). Urinals can save as much as 30% per flush. Such steps really do work. One survey asked 2,000 retail and manufacturing professionals how their businesses saved on energy costs. Some 31% said that fitting energy-efficient appliances had worked in saving money, while 22% said installing automated energy control systems and automatic lighting had also made a genuine difference. When looking for appliances for a workplace, check out Singapore’s own Energy Rating Label for information on the best options. It would also be worthwhile reading the advice National Environment Agency is offering. Among other things, they say that a fan uses less than 1/10th the electricity of an air-conditioner. This means you save up to $840 a year. A compact fluorescent lamp uses only 13W of energy; in contrast, an incandescent bulb uses a whopping 60W. By choosing energy efficient light bulbs, you can save up to $30 a bulb per year. Another common source of energy consumption is heating and cooling systems. By installing energy-efficient heating, ventilation and air-conditioning systems or by simply regulating their use, you can slash the figures dramatically. Collectively referred to as HVACs, they account for around 40% of a business’s energy consumptions, but using them correctly can mean energy consumption savings of as much as 50%. But there are also several small things can be done in the office to help the cause. Open a window and let fresh air in on hot days, instead of using the air conditioner. Attach weather strips on the base of doors to prevent heat from escaping on cold days. Make sure HVAC equipment are regularly serviced to maintain highest performance rates. Set heating system timer, so it’s off after working hours and comes on 1 hour before work begins. Is it necessary to have a hard copy of this document? Can it be printed on both sides? Is there enough light coming through windows for lights to stay off? Are the papers that are done with recycled? Does the office have separate bins to throw plastic, paper and glass? Do people throw trash anywhere else? Is it possible to prepare lunch at home and pack it in a lunch box? Are the computers and lights switched off after working hours? Encouraging your staff to use greener transport is a great idea which also works on more than one level. Not only will this significantly reduce your ecological footprint, it will also make your employees healthier because they will walk or ride bikes instead of commuting by car. cycling – the most popular eco-friendly commuting option for anyone living between 5km and 15km from work. A recent study revealed that 80% of workers aged between 25 and 54 supported the idea of financial incentives to cycle to work rather than drive. That may mean direct or indirect subsidies paid to workers, or a tax deduction provided for bicycles purchased by workers. There are several ways to encourage your staff to get involved in a green, not least the health benefits to them. Financial is there too but check with your local authority to see what financial incentives can be passed on via the workplace. In most cases, workers are in a habit of doing things a certain way so telling them they have to change is not really a positive step forward. There are better ways to develop a sustainable Go Green program, like getting workers involved from the off, and making clear the benefits on offer to everyone. Participation of employees – you can create an internal team whose duty would be to make a recycling and green practices program for your company. Your workers are the best people to turn to if you wish a practical perspective on which things should be changed in the company. Furthermore, the workers will feel a lot better knowing they were the ones creating green initiatives. The entire process can also be a lot of fun since staff can be encouraged to think of interesting and creative activities that promote green practices. Inform people about the benefits – people are usually keen on changing if they know that the change makes sense. This is why it would be wise to create an internal campaign which would use posters and newsletters to provide employees with information about environmentally friendly practices. This is often overlooked as a key step towards a greener workplace, but it shouldn’t be. Every workplace (like everyone’s home) needs to be cleaned, and that usually means using lots of kinds of chemical cleaning products when mopping floors, shampooing carpets, cleaning windows and, of course, keeping the staff kitchen and restrooms hygienically clean. So, it stands to reason that choosing eco-friendly detergents are going to have an impact on the greenness of your office or workplace.Of course, depending on the size of your business, you may outsource that particular aspect, but take some time to discuss the matter with the cleaning company you’ve hired. If they are unwilling to change, you might want to consider other options, but most already offer environmentally-friendly cleaning services. Look products which are rated as green. Alsco’s own managed service offers cleaner restroom hygiene options. The biggest misconception about going green at work is that this process is extremely difficult and expensive. While it is true that there are some costs involved, modern companies are more than ready to engage in eco-friendly practices, with future benefits significantly outnumbering potential troubles. The Singapore Economic Development Board (EDB), a government agency under the Ministry of Trade and Industry, is responsible for strategies that enhance Singapore’s position as a global centre for business, innovation, and talent.